Experts to guide on property laws, inheritance laws, etc. 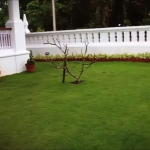 Restoring old Goan Portuguese villas is our speciality. 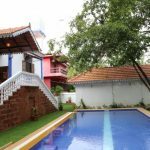 Keeping the original design and key features we restore and renovate old Portuguese Villas in Goa into luxurious Goan homes whilst infusing them with modern amenities, facilities and landscaped gardens. 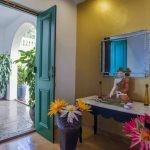 Our latest restoration, a Portuguese Villa in Goa (Nachinola) shows how we transformed a rundown home into a spectacular four bedroom luxury mansion with a swimming pool, and beautiful gardens. We are passionate about helping customers acquire their dream home in Goa. And we believe that acquiring your dream home in Goa should be a happy and hassle free experience. At XOGOA we are committed about ensuring this. Appreciation of the property law in Goa. The property law in Goa is influenced by legislation introduced by the Portuguese. It gives spouses, and their children (when they reach majority), equal right to ownership of the family property in Goa. This means that any property in Goa, must be researched from the perspective of ownership, as defined by the respective family “tree” and must be agreed for sale by all the owners. We ensure that every property in Goa we handle has been cleared for sale by all the legitimate owners. Through our experienced lawyers we will ensure that all the requirements of the various Goa land and property departments are fulfilled expeditiously. We will walk alongside you from the moment you make your decision to purchase your dream home in Goa to the time you register ownership in your name. We will liaise with all the relevant departments to obtain permission for new construction and renovations. Once we get approval for change of the use of the property in Goa from the deputy collector we will get approvals and necessary licenses from the Planning and Development Authority, Town and Country Planning, Municipal Council, Panchayats, the Public Works Department, Utilities and Health Departments and the Coastal Regulatory Zone. We can connect you to our list of our approved legal experts where necessary. Access to our team of experts. We have sourced the best Architects, Civil Engineers, Civil Contractors, Carpenters, Electricians, Plumbers, Painters, Garden & Landscaping designers and Swimming Pool builders with filtration plants, to ensure that all construction work is high quality and compliant with building regulations. Our team will make sure that you will get your dream home in Goa built in record time.